For one hour a month, we introduce one or more new ideas, projects and discussions connected to the topics of tech in Africa. During the tutorial, the audience can ask any questions and will also get to implement the lesson on their own computer. AfricodeX Tutorials are also recorded and can be found on our Youtube Channel. We had trouble this video recording, unfortunately it is unavailable. In this tutorial, Moyinoluwa Adeyemi (Software Engineer) gives an overview of Android Development and instructions about how to get a simple Hello World app up and running. Moyinoluwa is an organizer of the Lagos Google Developers Group and the woman who built an Android watch face that tells time in Yoruba (western Nigerian language). Install Local NoSQL database - It's as simple as going to CouchDB website (http://couchdb.apache.org/ ), downloading a zip file, unpacking it and opening it. for our recommended technology stack (Atom text editor, Git, Github and Github desktop) and instructions on how to install on your computer. In this tutorial, we talk about what a database is and how to store a large amount of data using SQL vs NoSQL. 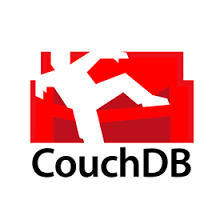 We then show a practical example by creating an Afrobeat music database using CouchDB. This tutorial was taught by Bunmi Aworanti, an award winning software developer. Reference this Africode post for our recommended technology stack (Atom text editor, Git, Github and Github desktop) and instructions on how to install on your computer. This live tutorial is an introduction to Git software version control. Watch this short video to learn what version control is and why every serious developer should understand it. This tutorial was taught by Obe Okaiwele, a Software Engineer at Dell EMC. Watch this short video to learn more about Node.js. In this tutorial, taught by Dirichi Ike-Njoku, We dive into a python library called p5js and unveil some gems like sound effects, accepting user input, and lots more. The goal at the end is to have a functional game that you can tweak in your spare time and show your friends.